One of my beauty resolutions this year was to take more time out to treat myself. Between work and motherhood it is often hard for me to find time to book an appointment and visit a beauty salon. Then allowing for driving time and forking out money for some chemical to burn my face off is not my idea of fun. 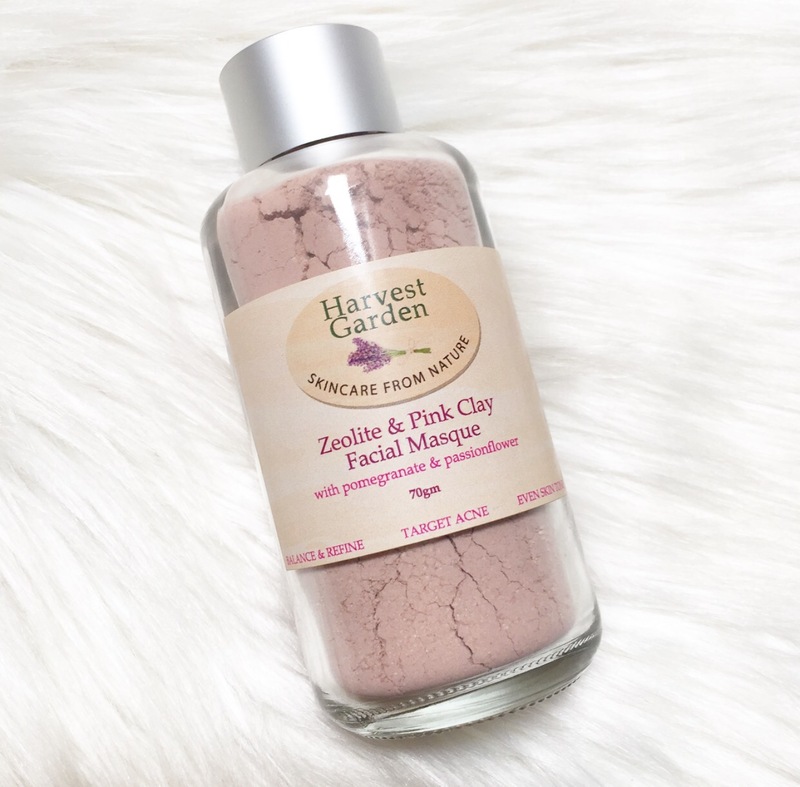 I thought my dreams of beautiful skin and relaxation were doomed until I received a beautiful package from a brand named ‘Harvest Garden’. 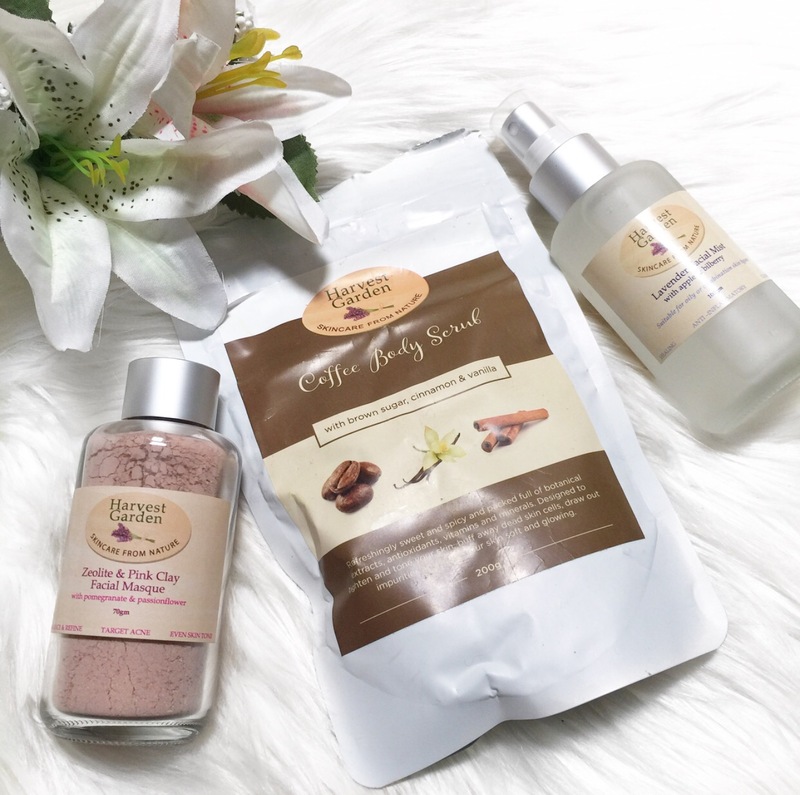 An Australian owned family business dedicated to providing skincare from nature. They believe you should be able to read a product label and understand it’s ingredients and that what you put on your body is just as important as what you put in it. Who doesn’t love a bit of coffee in the morning! Even better is the hint of cinnamon and brown sugar. I guess it’s more like coffee and cake! This scrub was not only deliciously scented but exfoliated well too. 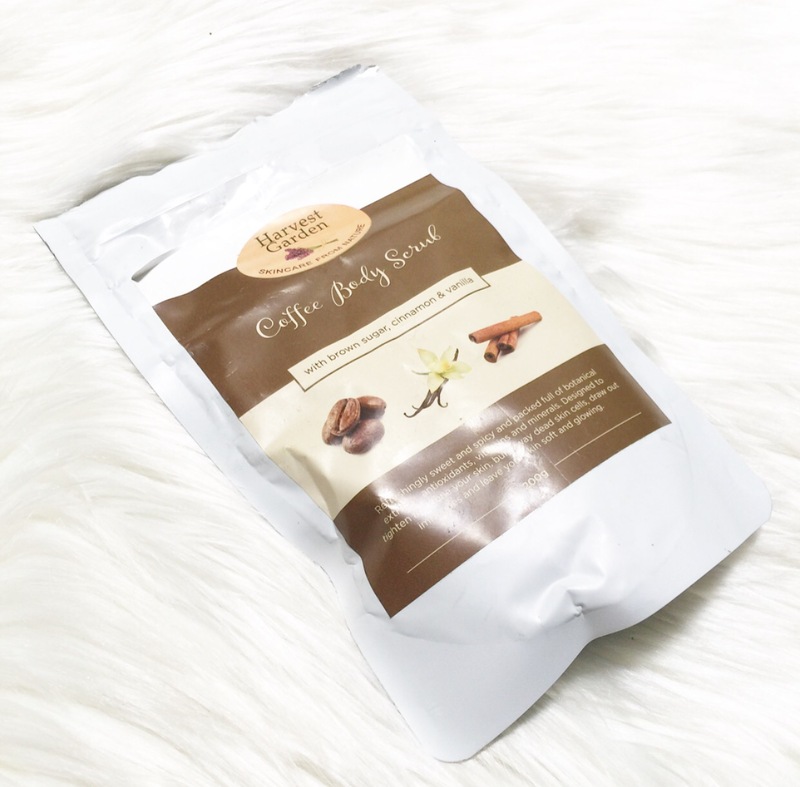 The formula wasn’t too harsh and it left my skin feeling smooth and hydrated. Unlike other body scrubs I’ve tried this one doesn’t leave your skin feeling oily. Beware this scrub may give you coffee cravings! I have been interested in powdered face masks lately and have been making my own at home with natural clays and charcoal powder. Though this is the first one I have tried that’s made from zeolite and pink clay! I found it to be nice and gentle on the skin and easy to use. It doesn’t make as much mess as charcoal! I just added a small amount of water and painted it on my face and left for about 15 mins. It left my skin feeling smooth, clean and radiant. Facial mists are one of those great multipurpose products. I especially like to use them in the morning to help wake myself and my skin up. 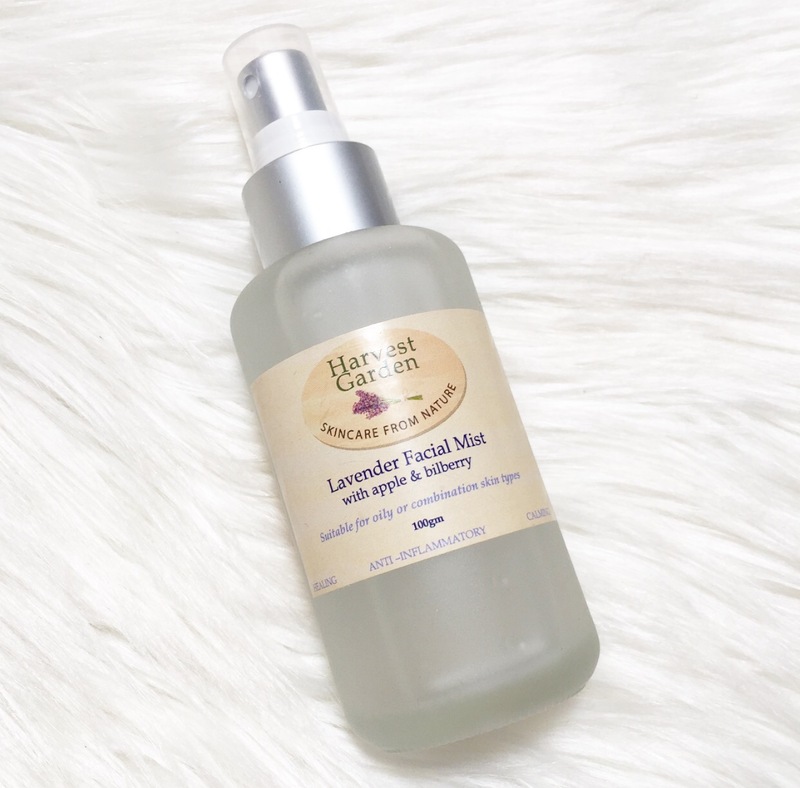 I love this Harvest Garden mist as it’s made from natural ingredients and sprays on very fine. The scent is beautiful and calming and can be used under makeup to give extra hydration or as a toner after cleansing. The frosted bottle is a nice touch and it’s genourous size means you can spray all day! I’m glad I had the opportunity to try such a real and roar Australian brand that cares about what’s in their products! I’m looking forward to using the products in different ways and treating myself more often. If your interested in learning more about Harvest garden I have linked their website and Instagram account below. Do you find that natural products are more relaxing and feel nicer on your skin than other products?